I’ve only visited Eastern Europe once before. 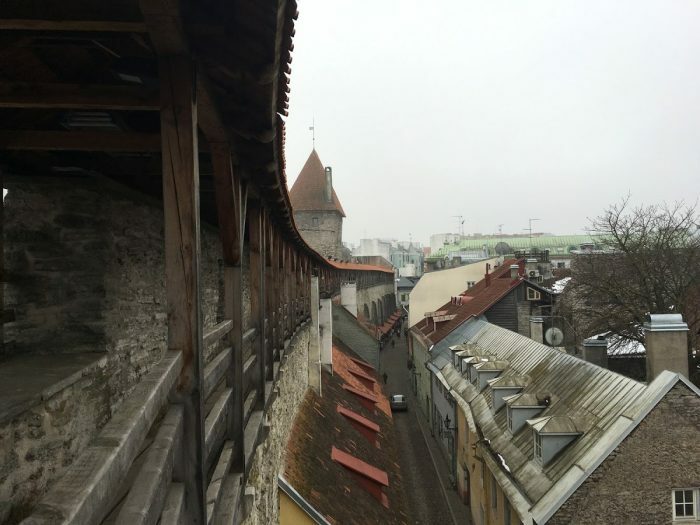 My trip to Budapest early last year set the tone for European weekends away, so Tallinn had a lot to live up to. 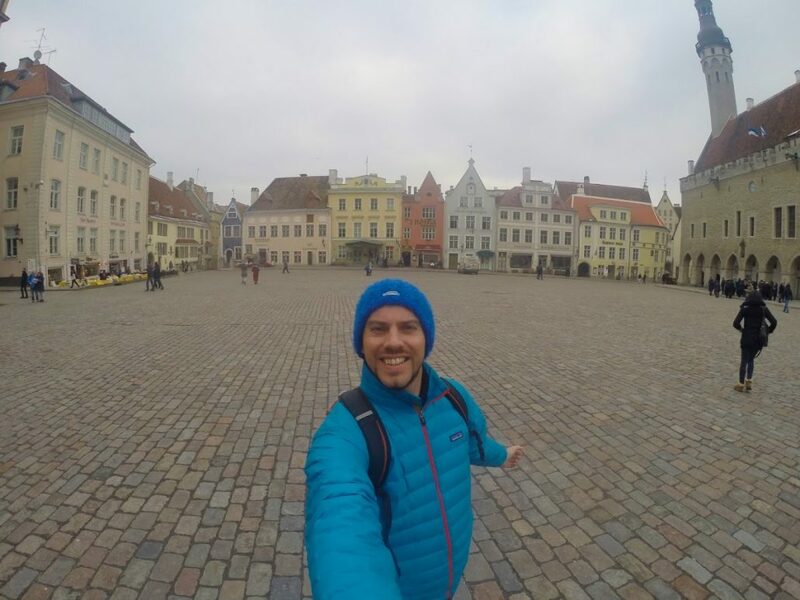 The Estonian capital has become synonymous with stag dos in recent times, so I ventured to Tallinn for a 48-hour long weekend in March before the testosterone levels around the city became too high. I booked the trip to Tallinn way back in August last year, when Ryanair had a summer sale on. I got two return tickets from London Stansted for £170 – pretty good value! This would be my birthday weekend away, so a little over 48 hours in Tallinn sounded ideal. Once you land at the airport, the best and most efficient option is to jump in a taxi. Tallinn city centre is only 10 mins away, so the taxi fare only came to €8 (£6). I dropped my bags at the hotel (we stayed at the Hotel Bern, located on the Eastern side of the Old Town), grabbed a map, then headed out to explore. 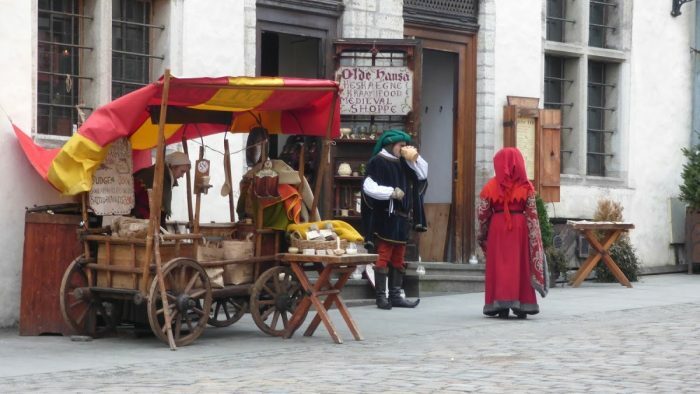 My favourite thing to do in Tallinn is to wander around the Old Town. Getting lost amongst winding cobbled streets, then finding a warm cafe and enjoying a hot wine has to be one of the simple highlights of the weekend. 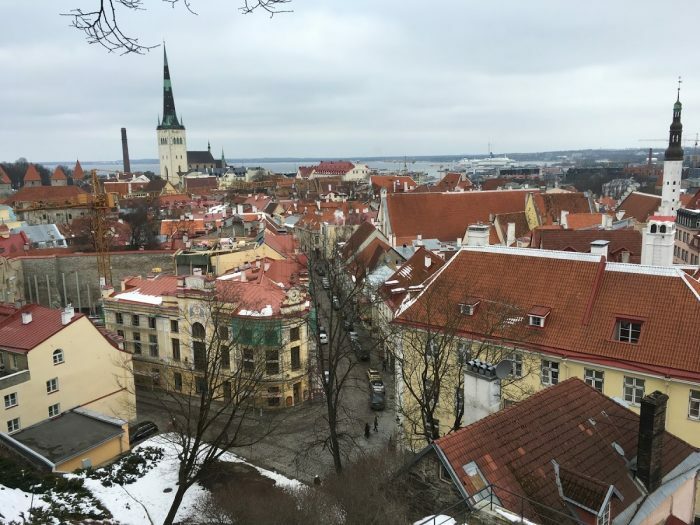 It only took 10 minutes to walk from my hotel to the far side of the Old Town Hall square, and then a further 30 minutes to make it up to the top of Toompea Hill, where you are greeted with the best views across the ref rooftops of Tallinn Old Town. If walking for long periods of time isn’t your cup of tea, a single ticket on Tallinn’s tram or bus network costs around €1.60. From Toompea Hill, you can just about make out the outline and direction of the Old Town City Wall. Knocked down in many places, the city wall originally spanned 2.5km, with a total of 45 wall and gate towers. 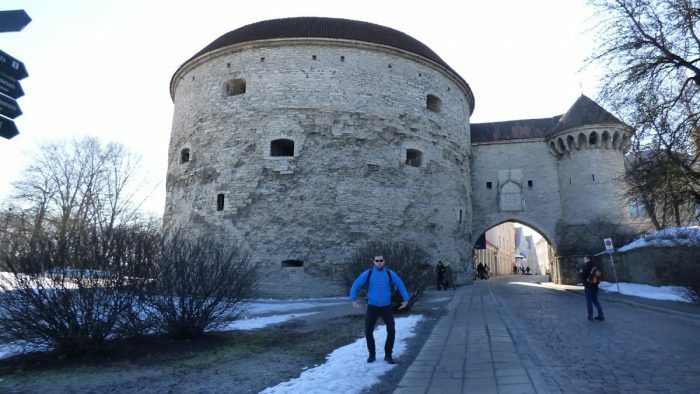 After full taking shape during the 14th and 15th centuries, the city wall became one of the strongest defence systems in Northern Europe. 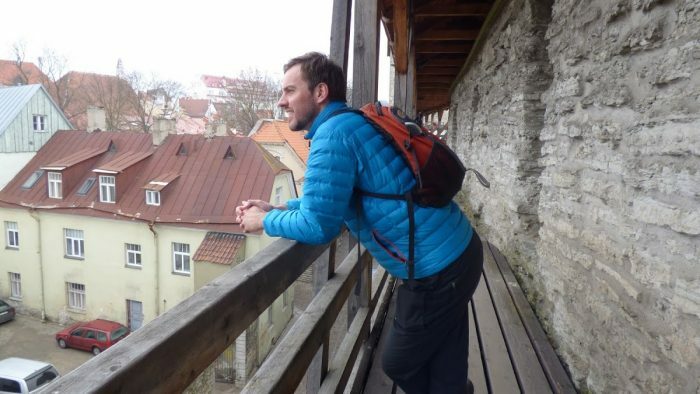 In the middle of the road called Müürivahe, past the market, you can enter a black wooden door, pay a small fee and climb the stairs and explore the top of the city wall. Climbing back down off the wall, it’s probably time to head to the Old Town Hall square, grab a seat at one of the cafes, grab a hot drink and people watch. At weekends, the Old Town square is bustling with locals and tourists and is a great place to take a load off and watch the world go by. I previously wrote a post about the best restaurants in Tallinn’s Old Town (there’s plenty to choose from), so have a peek at that post for Baltic cuisine inspiration. 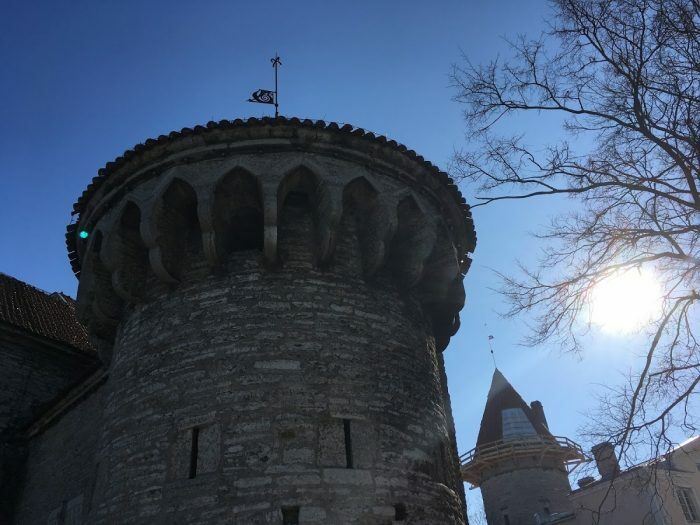 There is a tendency to wander around the Old Town for the entire weekend, but Tallinn has lots of other great places to explore outside of the Old Town. One of the more up and coming areas is between Telliskivi and Kalamaja. You can catch the train from the edge of the Old Town, next to Fat Margaret, and hop off four stops later at Telliskivi. There are some great cafes around here, as well as a market next to the tram stop. 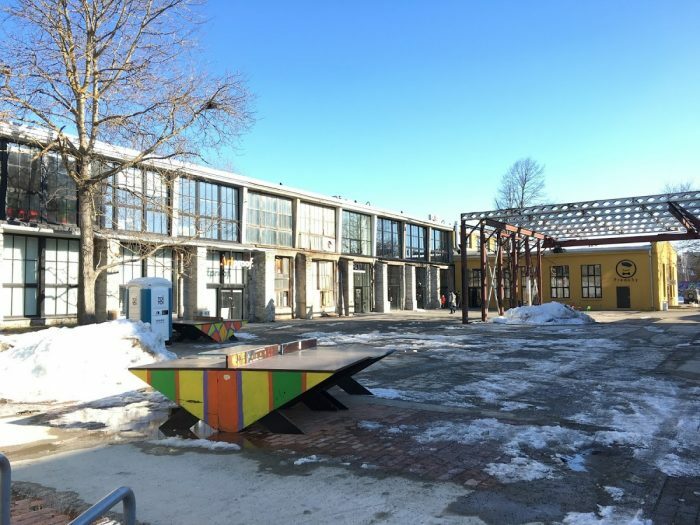 The best place to visit in Telliskivi is the Loomelinnak, otherwise known as the Creative City. A short walk from the tram stop, this area is a former industrial complex that is filled with shops and spaces offering interior design, natural products, and there are also various cafés, restaurants and craft beer bars. 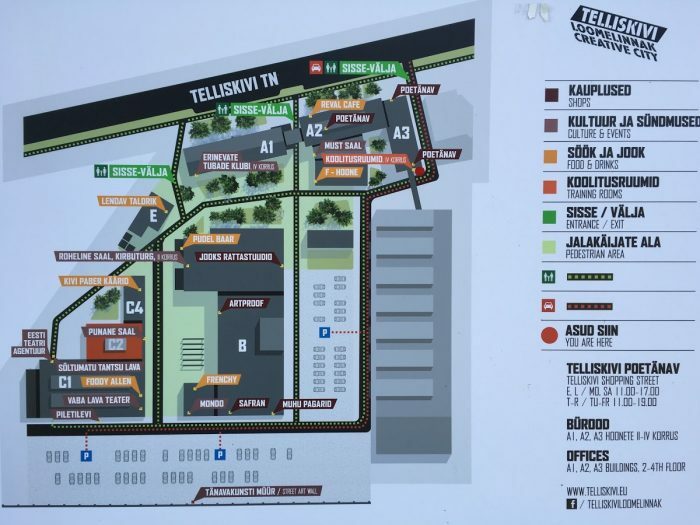 The Telliskivi Loomelinnak also hosts several cultural and music events throughout the year, so check what’s on before you head over for your 48 hours in Tallinn. A 35-minute walk North of the Telliskivi tram stop takes you to the Northern shore of Tallinn, and the harbour area. Here there are two main attractions to visit. The first is the Seaplane Harbour museum, a lovely maritime museum filled with old boats and ships. 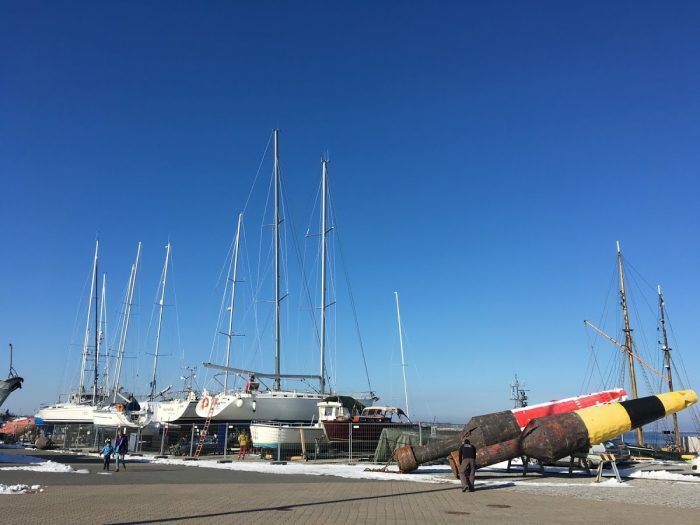 Walking around the back of the museum takes you to the sea of Tallinn Bay and the Gulf Of Finland. On a clear day like I had, the views are quite something. 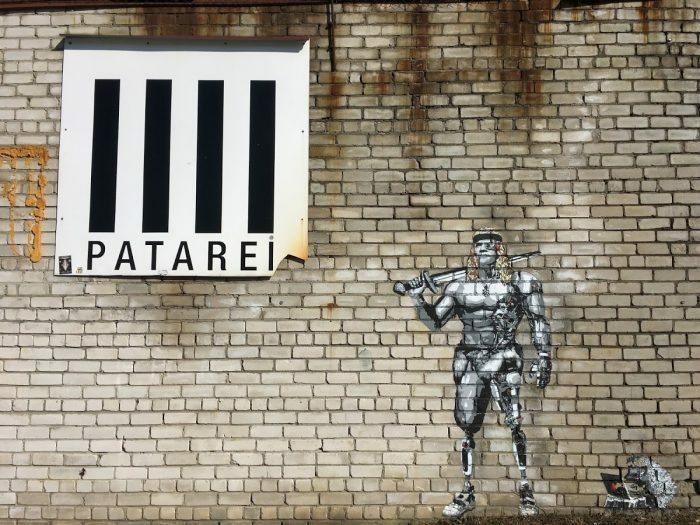 Next door to the seaplane museum stands Patarei Prison, a sea fortress that used to operate as an artillery battery. 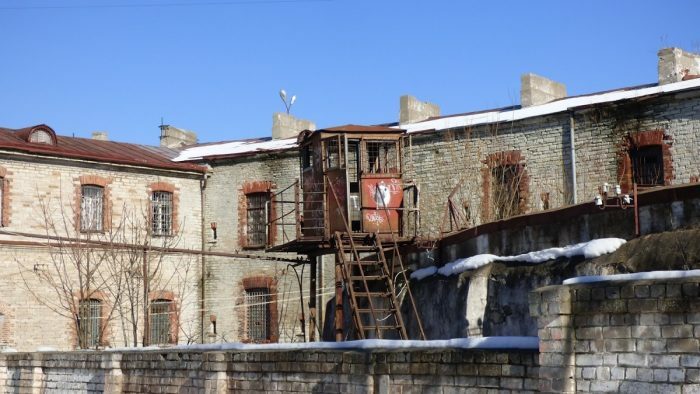 The former Soviet prison has been left exactly as it was when it was closed in the early 2000s, creating an incredibly eery and slightly scary atmosphere. 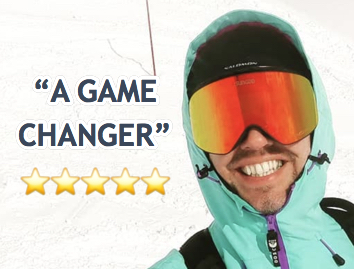 It’s well worth a visit, but this place is cold, so wrap up warm! 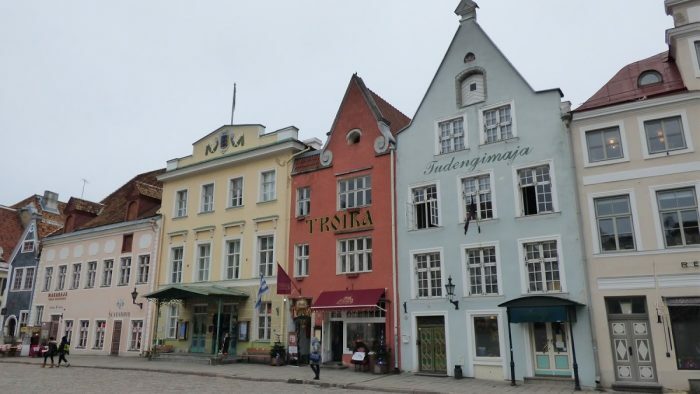 Last but not least, Tallinn is known for its beer halls. 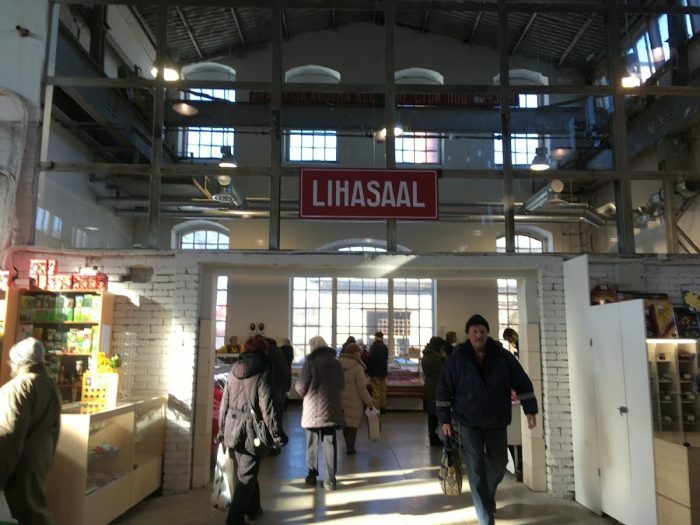 If you visit Tallinn outside of stag do season (April to September), then visit a beer hall. I gave The Beer House a try (on Dunkri), which has traditional wooden benches, steins of local beer and Estonian food.